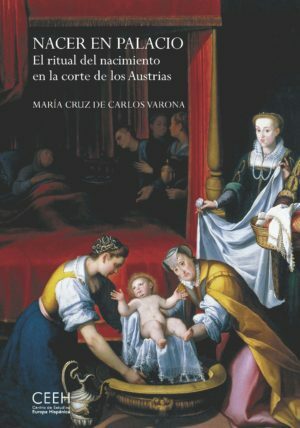 In her book De Carlos carries out an original and well-documented reconstruction of the culture of the births of the Spanish Habsburgs and the concept of female authority. She bases her study on very different sources, as she does not focus exclusively on moral and scientific treatises but takes as her starting point visual depictions related to royal pregnancies and births, which had hitherto often been considered almost literal transcriptions of reality. A study combining the biological, symbolic and social aspects of this phenomenon was lacking in the field of Hispanic research. This gap in our historiography has now been filled by the present book, which marks an important step towards reconstructing the phenomenon of motherhood and all its derivatives at the Spanish court of the Habsburgs. María Cruz de Carlos Varona is a lecturer at the Department of Art History and Theory of the Universidad Autónoma in Madrid. She worked at the Museo del Prado from 2013 to 2016, both in the Department of Drawings and Prints and at the Prado School. Her lines of research, centred on the Modern Age, encompass the artistic culture of women, religious images, and the history and culture of prints. Her work in these three areas has appeared in many Spanish and international publications and she has also organised several courses and seminars.